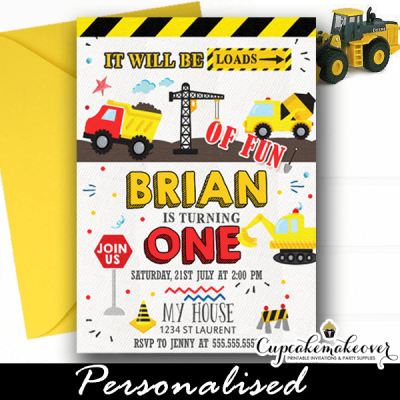 Celebrating your little man will be loads of fun with these Construction Birthday Invitations. These personalized Construction birthday Invitations feature yellow trucks, cute road elements and doodles against a white canvas textured backdrop. A great way to prep your guests for a construction birthday party with loads of fun!